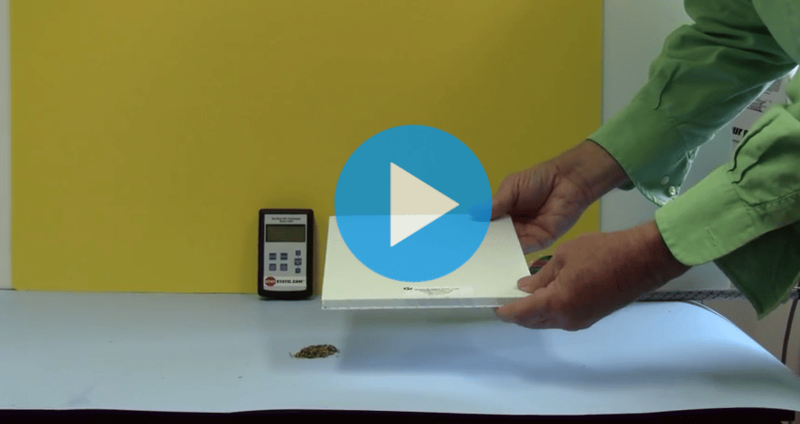 The video shows static charge attracting small particles and dust to the plastic surface. To stop small particles from attracting to the surface, static charge levels need to be maintained below 3000 volts. Place the StaticElastic™ or Ion360 Rod™ across the moving web and ground it to the metal of the machine. 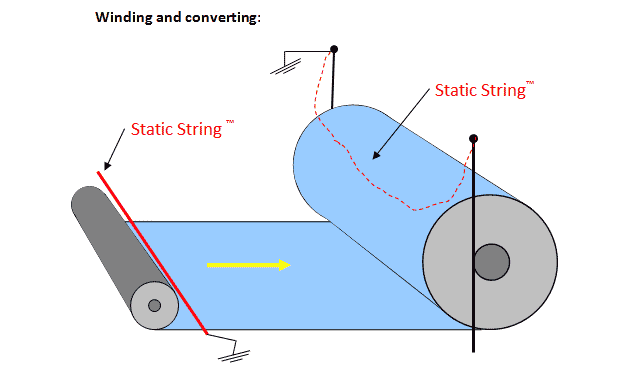 For winders, place StaticString™ across the roll as shown below to maintain a static charge below 3000 volts. Use the Exaction™ Wand to eliminate the surface charge. Lift the sheet off the stack so that the sheet is not touching it. The Exaction™ monitor will flash and alarm as the charge is removed. When the charge has been successfully eliminated, the sound and flashing will stop. The sheet will be ready to be handled and printed on with no dust attraction or defects.